Green Tuna Salad, Red Potato Chips | "Il faut goûter"
I have a need to taste. The avocado. I am in awe of the perfection of this fruit (yes, it’s a fruit). It’s green, clean flavor and smooth, fatty texture are heavenly to me, its color is gorgeous, it’s my summer ambrosia, if only they could grow in Tennessee! Luckily, Mexico’s not far! The other day I came upon an ad for tuna, dubbed “the wonderfish” in a Southern Living magazine. Beside the ad was a recipe for a mayonnaise-less tuna salad, using the creamy flesh of avocados as the binder for the tuna instead. In fact, it’s basically just a simple guacamole with tuna folded in. Now, that made me excited, because not only do I have a love affair with avocado, but I have quite recently developed an affinity for tuna. Yes, I was once a picky young eater, and tuna salad was one thing my parents made that sent me to the other room or had me preparing a Hot Pocket or grilled cheese dinner. I thought it smelled terrible, and perhaps all that mayonnaise aided in disgusting me. But now I realize my past misjudgment. Canned tuna, preferably white Albacore tuna, is delicious, healthy, and very versatile! The tuna ad also said “35 Latin lovers dancing the Lambada agree—tuna is good for your heart!” That Tuna Council even has cute advertising. Flake the tuna and mix it in a bowl with the chopped red onion. 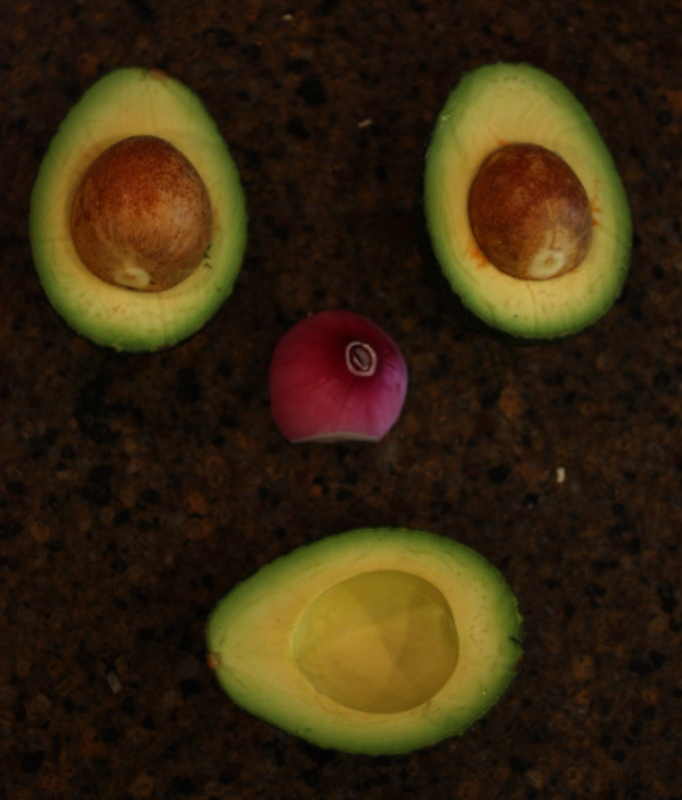 In another bowl, mash the avocado flesh with the lime juice. Fold the tuna into the mashed avocado and add salt, black pepper, and cayenne pepper to taste. *Makes enough for 5 sandwiches. 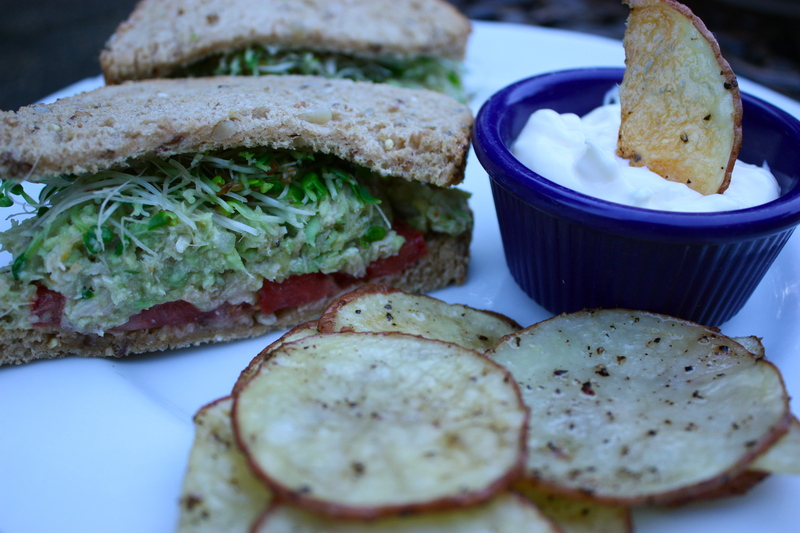 Serve on your favorite toasted bread with tomato slices and alfalfa sprouts (optional)! 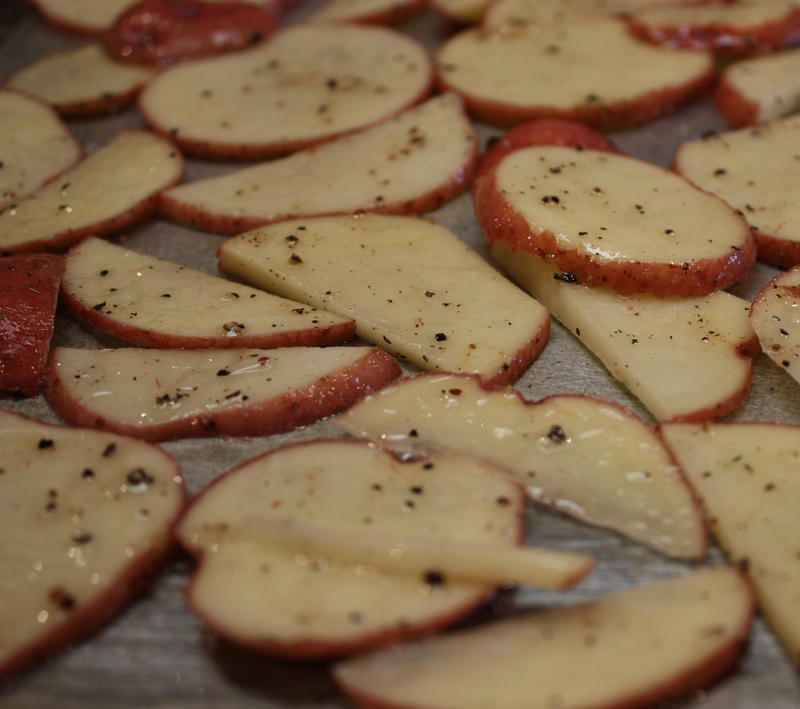 Cut potatoes into thin round slices and put them in a large bowl. Add enough oil to coat the potatoes. 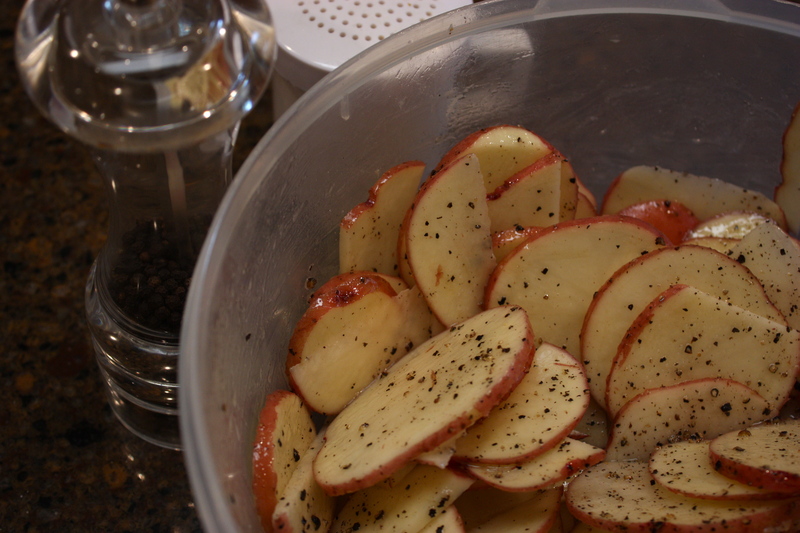 Add salt and freshly ground black pepper to taste. 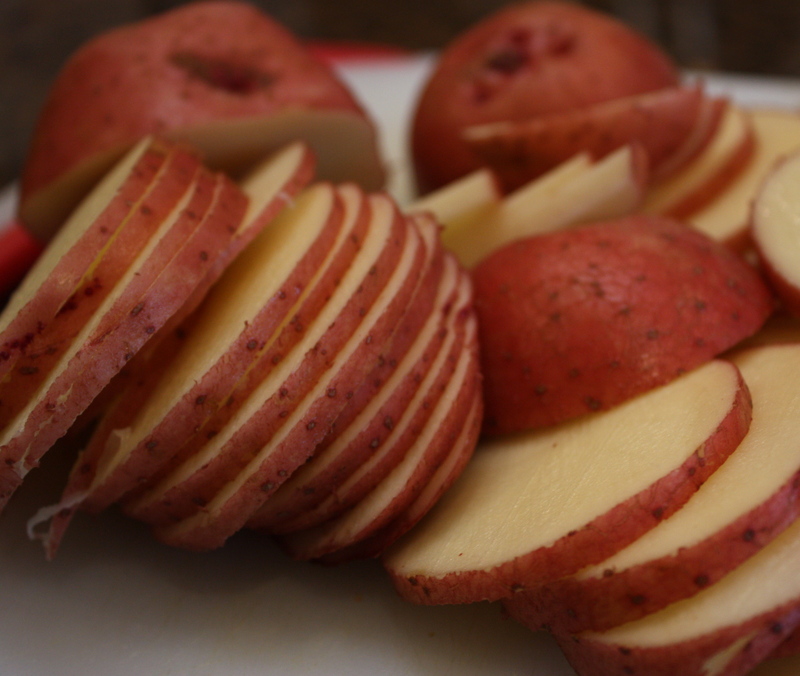 Arrange potatoes in a single layer on a baking sheet (or two) and bake at 350 degrees for 45 minutes to an hour or until done. Serve with Garlic Mayonnaise (recipe below). Stir the garlic into the mayonnaise and let it sit in the fridge for an hour or so. Simple as that. Strong garlic flavor—a delicious dip for fries and great on burgers and sandwiches! This entry was posted in Uncategorized and tagged avocado tuna salad, garlic mayonnaise, green tuna salad, oven chips, red potato chips by needtotaste. Bookmark the permalink. I want to try the chips. Will probably add a bit of Old Bay!